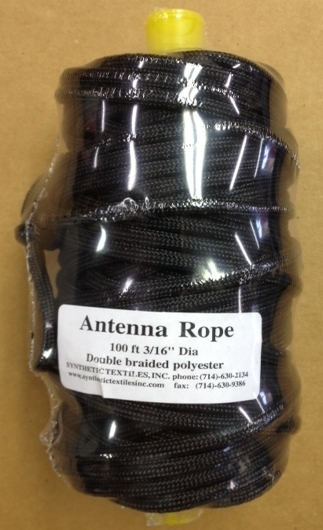 Antenna rope designed for guying/supporting outdoor antenna installations are made of double-braided polyester and provide excellent abraison resistance with almoset no stretching. 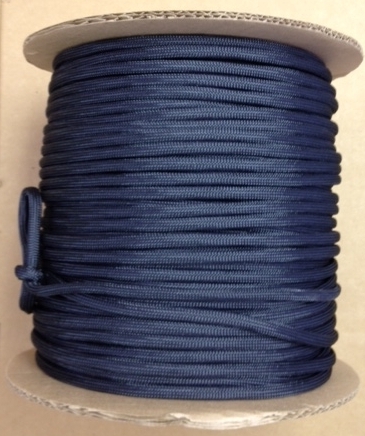 These high-strength ropes are not weakened by decay or mildew and the color sealed black polyester yarn used in the braided jacket also protects the cord from ultra-violet light. 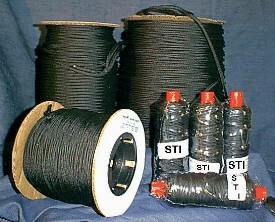 (*) The breaking strength of STI antenna support ropes are computed by using the grams per denier information published on the McGraw-Hill Man-Made Textile Fiber Chart. 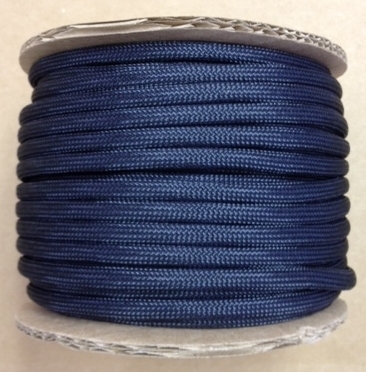 The care and handling and applications have significant effects on the strength of the braid. Therefore, we do not guarantee the exact breaking strength, but offer the above breaking strength as a guide.